Android is the most popular smartphone operating systems in the market till now. It offers a variety of apps and settings but, eventually reach their limits at a certain point. Rooting your android device (smartphone or tablet) will offer you thousands of tweaks, skins and new apps that you should not miss out. We’ll use iRoot for it. 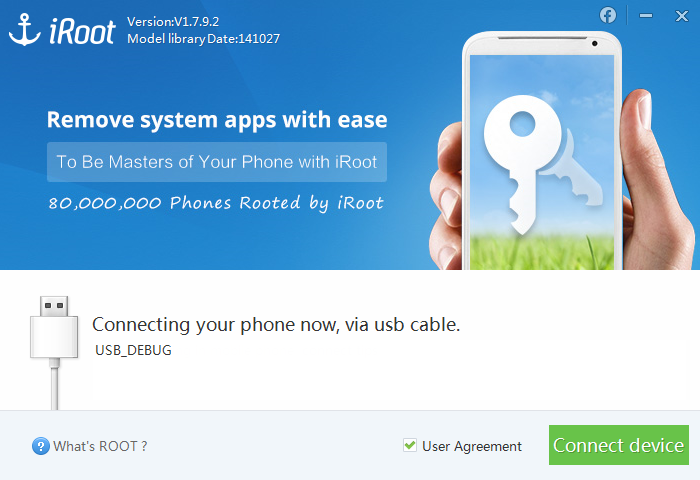 iRoot is a rooting software that supports more than 8000 android devices. iRoot is also known as Root Master. It’s a Windows Application that helps you to root your android phone in a single click. 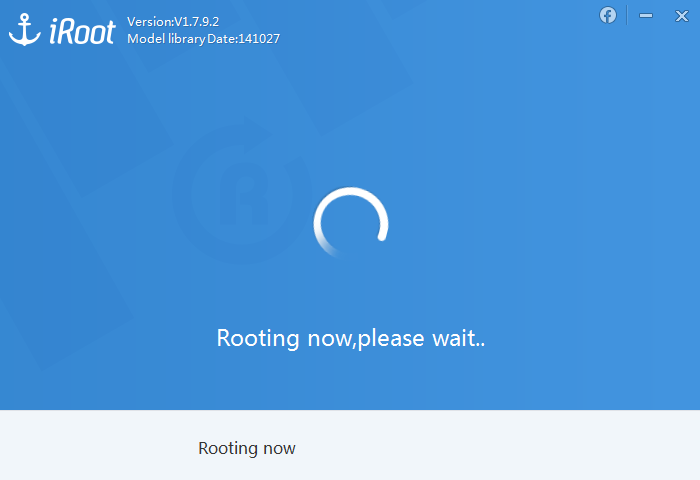 Here, I’m going to guide you how to use iRoot to root your Android Device. Your Android Device’s data like contacts, pictures, videos, and music etc won’t be affected with this method. Your Android Device’s warranty may be void after this process. 1. Enable USB Debugging in or phone from Developer options. 2. If you’ve not installed USB drivers for your device then wait for device to automatically install them on connection in USB Debugging Mode. If it doesn’t then download them from web. 3. Download and install iRoot. 4. After successful installation, open it. 5. Connect your Android device to the computer. Once your device is successfully connected to iRoot, it will automatically detect your device. 6. Now click on “Root” to start rooting process. WARNING: Don’t touch USB cable while rooting is being done as any interruption may cause hard brick to your device. Once successful root, your phone will automatically reboot. 7. Now download and install SuperSU from Google Play store to control root permissions. That’s all. Your device is now successfully rooted. To check whether your device is successfully rooted or not downloadRoot Checker from Play store.